How would we describe Apple Pay in one word? We’d say Revolutionary. A major shift in consumer preference for the digital wallet is coming in 2015. Apple Pay may not be in your country yet, but soon it will be, and when it lands is your business going to be favorably positioned? More importantly are you going to be equipped with the tools and capabilities to give your valued customers what they want? Listen in to our recorded webinar to hear our co-founders Paul and Nick discuss Apple Pay as well as answer some mobile wallet questions sent in from our viewers. You can also view the transcription of the video below. Leave your thoughts or questions below in the comment box! Monica: Hey everyone, I’m Monica and I’m excited to join you today on this webinar. We’re also fortunate to be joined by our PassKit founders, Mr. Paul Tomes and Mr. Nick Murray. What Paul and Nick don’t know about Apple Pay, Mobile Wallet and iBeacon Technology, well it’s just not worth knowing. Now Tim Cook announced during the world’s largest earnings announcement ever, that 2015 is the year of Apple Pay. What does that mean for you? Well that’s why we’re here today. We’re joined by Entrepreneurs, Digital Agencies and SMEs from all over the world and we’ve received some fantastic questions with regards to Apple Pay, Mobile Wallet and iBeacon Technology. So over the course of the next hour, I’ll help to pose your questions to Nick and Paul and we will aim to get through as much as possible in our limited time. We’ll record this event so you can come back and listen again and if you have any questions during the session, please use the chat function. I trust that you all can hear me, so if you can please type Apple Pay in the chat function, we can see whether we’ve got everyone. Good, great, excellent. Alright, well it looks like we’ve got lots of people, so let’s get started. Monica: So Nick, what is driving the hype behind Apple Pay and why do you believe that it’s important for me? Nick: Now that’s a great question Monica and certainly there is a lot of hype but a lot of it is very well founded. 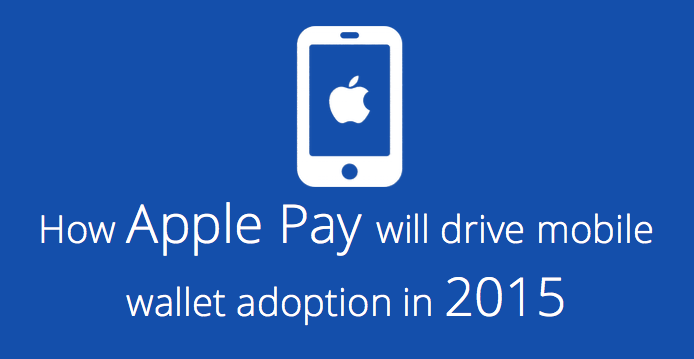 The biggest driver in my opinion is just the sheer magnitude of the adoption of Apple Pay. Apple Pay is only available in one market currently, the U.S. and it had a bit of a rocky start with only three banks supporting it. That’s quickly grown now to over 90% of Credit Card issuers within the U.S. support Apple Pay; but even within that territory and just the three months since Apple Pay has been out there, Apple just recently announced in their earnings report, two out of three dollars purchases made using contact list payment were made by Apple Pay. Now that in itself is a phenomenal statistic. It’s even more mind blowing when you consider that only the 5S and the new 6 and 6 Plus Apple devices are capable of doing Apple Pay, yeah. This is something that is unprecedented. In the short time since it’s become released, it’s become a mainstream payment platform you know. Paul: And just in three months. Nick: Just in three months and this is just the tip of the iceberg and what this means is you know these American consumers are sending a very crystal clear message that they want to transact in brick and mortar locations using their phone, not just online, not just putting their credit card in, not just using the you know stored profiles and passwords and stuff to transact on auction websites and sites like Amazon and so on for home delivery but they want to make real transactions in real brick and mortar stores using their phone. The second thing that they are telling us loud and clear is that they trust, they trust the Passbook application and they trust Apple’s management and stewardship of this with their most precious data i.e. their finances and their personal information. You know for us–well I mean this is what’s making us stand up and take notice and even though it’s not global, the roadmap is there and it soon will be available in more territories outside of the U.S. and it’s just something that you know we would be foolish to ignore. Paul: Yeah absolutely. Well if you take a look at the whole food market in the U.S. since the introduction of Apple Pay; they’ve seen mobile payments increase by 400% just in three months. Now those sorts of stats you just don’t see well since the gold rush of the 18th century and 19th century. You just don’t see that type of growth and the Panera Bread. Nick: Yeah the Panera Bread, U.S. bakery chain. 80% of their transactions now are made using Apple Pay. Paul: You know it’s really phenomenal. You know the other thing is a consequence of that. So if you think about but where does Apple Play sit. It sits in this what used to be an innocuous application that was standard since iOS6 or standard since September 2012. You get this application Passbook; most people shifted it to the back screen now look as a consequence of Apple Play and particularly relevant in the United States, Passbook has become instantly relevant for those credit card holders. So before it was a newsstand app, like a stock app where you hand out folders. You couldn’t delete the thing, so you would hide it because you never used it. Now it’s suddenly jumped to the mainstream, it’s a daily usage app. It’s like Safari or the Mail App, that’s native within the iPhone device. Now so this really is moved not only Apple Pay as a former transaction for trust, it’s also moved the application that’s built in to the iPhone device and subsequently built in to many other different devices, but it’s moved Passbook to being relevant for all of those people. Now that impact is not just about mobile transactions becoming mainstream, that’s mobile wallet becoming mainstream. Nick: Yeah and I think that on top of that it has woken up guys like Google, like Samsung. Nick: Google Wallet has been around for almost seven years now and they’ve tried numerous things and numerous incarnations of Google wallet and it’s been nearly to be cancelled, and they’ve got Google Checkout, and they’ve cancelled that. And they have been trying this for so long and where Google has failed, Apple has succeeded, and where Samsung has failed, Apple has succeeded. And now these guys are playing catch up because consumers both Android and iOS are demanding that they have this capability, that they have the ability to pay through their phone to transact through their phone, to be rewarded through their phone. Monica: Good, and Paul, can you actually give your definition of Mobile Wallet though? Paul: Oh yes, that is a fair call. We talk about Mobile Wallet and you know it’s our passion and it means various things to various people. Paul: …and I believe we’ve got a very defined view of this and it dates back, if you think back to 2012 when Passbook was first announced to the world. That’s for us the definition of a Mobile Wallet. Some people say digital wallet, it’s the same type of thing for us. So that was an answer for 2012 as a single non-deletable pre-installed application on your iPhone, and that allowed the consumer, the user of the iPhone to store and manage digitized valuables, you know things like offers, tickets, coupons, membership cards, IDs, stamp cards, gift cards, you know anything that would be in your leather wallet, digitize that and shift it into your mobile wallet application or digital wallet application. And also similar to your leather wallet, you could store multiple brands in the wallet, so quite different to a Starbucks application which just allows you to store a Starbucks card or Starbucks gift card and collect Starbucks rewards. A wallet application, a mobile application allows you to store all of those different brands in one single app, the same way you can receive lots of emails from different people in one single application, the same way you can surf different websites in one single application. Mobile Wallet application is lots of different content, lots of different brands in one convenient application. Now I mention leather wallet, it’s quite Mobile Wallet and digital wallet, better words for that case, allows not only to store that stuff but it enables transaction and with the added benefit of making use of the Smartphone capability. So unlike a leather wallet which doesn’t really know what time of day it is, or doesn’t really know the location you’re situated in, doesn’t really know where you’ve been or where you’re going, the Smartphone obviously holds those capabilities. We’ll talk a little bit more about that later, but that’s really allowing you to unlock the power of that in conjunction with the convenience of storing all of those cards in your Smartphone and you know your Smartphone never gets thicker with all the cards. I know my wife often says, “I can’t carry these cards around with me today, my wallet’s–my leather wallet’s full” and obviously she’s very delighted that’s she’s now got a solution through Passbook, so keeping the wallet slim and all the convenience that comes along with that single Mobile Wallet App. Nick: Yeah and I think when we talk about Mobile Wallet, for Apple it’s very clear, it’s the Passbook application that is preinstalled into 400 plus million devices, that’s relatively simple. For Android, the landscape is more complex; there is Google Wallet which serves as a Mobile Wallet, there is Samsung Wallet, which is available in some territories and on some Samsung hardware. There are other applications, for example there is AliPay across China, there is PayPal, of course they have their own Wallet capability. We’re still waiting for that marketplace to mature, to consolidate. But the Mobile Wallets, each of these wallets to a certain degree have their capabilities, which Paul has just mentioned. Paul: I notice a great question from John actually which links to that. Would you just read that out for the benefit for everyone else? We just got one from John from UK. Thanks for your question. Monica: So we know that Apple Pay is important but in Europe more than 70% are Android phones, even with that difference between Apple and Android, Apple still making more transactions? Nick: So I think it’s been a long term acceptance by the market that Apple owners have a propensity to spend more, to transact more and more open to transact using their phone and transacting online. It’s just the nature of the demographic of Apple subscribers. Yes the volumes for Android phones are higher and I think Tim could be very clever when he said $2 out of every 3. He wasn’t saying 2 out of every 3 transaction, it’s the net transaction value coupled with volumes and with actual activity within the market. That said, you know these guys are neck and neck; when one starts to lead the other quickly catches up and vice versa and so whilst there isn’t a compelling, single, homogenous Android solution today, that’s not to say that it isn’t coming and I think what we are trying to say here is these last three months results from Apple Pay are a real wake up call to say that this is the start of a new paradigm; that things are changing just like the introduction of the credit card. You know people are now shifting fundamentally shifting their behavior and more importantly their expectations about what they should be able to do with the technology that they own. Paul: Actually that’s a good point and just responding to that, it’s important given what we just said about what Mobile Wallet is. Yes Apple Pay is an important component of the ecosystem for transaction, but as Nick said at the beginning what it is doing, and what Apple is pioneering but driving demand for consumers across any Smartphone is the trust with the phone to conduct a transaction and leverage that phone to tell them information. So if we think of the benefit for everyone in this audience, given the diverse audience we’ve got; you know Mobile Wallet really is a channel. It’s enabling Marketers, Business Owners, Brands to extend their brand promise via this channel to improve conversion rates, whether that’s through an Apple Pay transaction or indeed through a transaction with other wallet content like a Membership Card, like a gift card and drive traffic and sales. So most of us are familiar around the channels around Social Media, EDMs, Online Marketing, Google Ads, Facebook Ads and so on, but the Mobile Wallet is now becoming a mainstream marketing channel. Now it’s not mainstream yet but Apple Pay is shifting the perspective and shifting that demand around what Mobile Wallet is. It’s not just your leather wallet, it’s now an extension of your brand via another channel of value that customers are storing inside an application. Nick: Yeah and I think what Apple Pay has done in its short time and will do in those markets that it’s not in yet but when it’s introduced into those markets is to really shift that consumer mindset and that consumer behavior and it opens up a whole realm of possibilities. Now as Paul said Passbook first came out in 2002, June 2002. Nick: Or LinkedIn or whatever, I am seeing my brand pop up. And there’s a whole, phenomenally driven by Google but there has been a whole decade of technology devoted to understanding how consumers behave online; gathering and analyzing their behavior and pushing them with just the right app or just the right advert at the right time. And I think you’ll notice it now if you go online and you go and browse at a product you haven’t browsed at before, you know some–go and have a look at screw pork cork screws, something like that, Google for that. Paul: You know why are you…? Nick: You know I’m just trying to think of something, an example that somebody is going to go after and have it looked at. The one for me that gets me is, because we are in the wallet business and wallet is a search term which means a lot, I’m continuously bombarded with adverts for Bellroy Wallet. Paul: Yep, I get that too. Nick: They pop up everywhere and I’m thinking geez Bellroy, they must be the best; and after like three years of conditioning I might actually go out and buy one. Nick: But you know that’s the strategy. The strategy is find out where your people are when they are online and get in their face. What the Digital Wallet, what the Mobile Wallet allows you to do is to turn that on its head, yeah and you are now able to say when that individual is coming to me, give them something of value. When they are close to my location, when they’re in my store exhibiting a particular behavior, push this to them or remind them of this or provide them with this opportunity when they’re in there. Imagine you’re in the market for a new TV or actually you’re not in the market for a new T.V. your wife is browsing the whatever section. Nick: Cosmetics section or wildly overpriced kitchen accessories section and so you take a wander off and you’re looking at the big screen TVs. So you’re standing in front of a TV, now could be watching the game but you could be eyeing up the opportunity. You could have your phone in hand; you could be doing some research on those and what we might notice is that you’re moving backwards and forwards between products or you’re moving away and you’re coming back and what might just be going on is in your mind you might be thinking, you’re trying to justify the purchase yourself. You don’t really need a TV or you don’t really need that TV, it seems like a good deal but if in that point, if we can pick up on that behavior and push a 5% coupon–discount coupon for you, this is only special offer, show this get 5% off. That might be just all that you need to be able to push you over the edge and what we’ve seen time and time again in the past few years we’ve been working with brands, small and large deploying and experimenting with these technologies since Passbook has been–has become available on iOS6. We’ve been working with brands and we’re consistently seeing higher redemption rates, higher activity rates, higher responses to calls to action which all in all result in higher dollars in their tail and this whilst it’s easier to do on iOS, it’s also entirely feasible and possible using Google as well. Monica: So issuing a coupon to push someone over that edge, like how is that done? Nick: Well it’s not so much the technology, first and foremost is understanding what you want to do. One of the first things we tell our customers is, with great power comes great responsibility, you know. You do have the power based on what somebody is doing or has done or has exhibited or where they are or where they have been to interrupt them and to get right up on the lock screen, right in front of, right next to you know the Whatsapp message from their spouse or the email from their kids or the SMS from the bank. You’re right up there front and centre. So first and foremost, it’s about what do you want to achieve, you know and the key concept is to always be adding value. It’s one of the things to liking it too is, imagine you could be stood behind your customer’s shoulder when they are in the store, what would you say to them? What would you do? What advice can you give them? And then be able to push those. The technology part is the easiest part. Nick: Time to start and exercising restraint I think and respecting the power that it gives you. Because if you can do that and if you can add value every time, you build trust, you build convenience, you build a real love and fondness for your brand, and it feels so differentiated, it feels so personal because of the way that it’s delivered and because it’s just oh right what I need, right when I needed it. Paul: I do think just as you’re talking. I do think one of the things we’ve seen though and I guess that’s why we’re all together here talking about this, is one of the big barriers though is looking for excuses why not to do this as opposed to excuses to do this. So we’re talking about the reasons we’ve seen this unprecedented explosion of Apple Pay transactions. We’ve seen trust from consumers, we’ve seen demand from consumers and then we’re getting questions like, well it’s not there in Samsung yet or it’s you not this blah blah blah or we don’t or it sounds technically difficult. Well technology really isn’t the barrier to make the most of these technologies. It really is about getting into that lean mode of thinking, that really want to be experimenting, adding value, using the smart phone to be that person on the consumer’s shoulder to add value at that point, continue to learn. Now the beautiful thing of Mobile Wallet, unlike traditional Marketing campaigns which have a lot of time to then feedback, tell you where you’ve done something; you spent a bunch of money, a load of money on a print campaign, a TV advert, whatever it might be, the data that you get, the insights that you can get from starting will then further propel you as more and more consumers start to use it. So from our experience the successful businesses are the ones that take action and look for the reasons to make this work and the ones that are sort of sitting in the background and not profiting from this sector at the moment, are the ones that are looking for excuses why not to do it. Now clearly there are challenges around you know how do you actually wire this thing or how do you think through the campaign, how do you really maximize the benefit and the pattern of it? Those are things that aren’t very important and indeed we spend a lot of time with clients making sure that they have the best type of thing and experience and can leverage the wave of Apple Pay and can jump on the iBeacon bandwagon and all of those sorts of things but it really is about deciding to step forward. Nick: Yeah. Somebody else is being pummeled by Bellroy. Paul: I see that. That’s in Saudi Arabia as well so let me look up Bellroy and tell you right here. There’s another question. Monica: We’ve got a question that’s come through from Lorenzo. So using iBeacon installer, do you expect the customer to have your app installed that would react to the beacon or maybe you have a pass installed, is there a way to push a message without a prior app or pass installation? Nick: Okay. You know strictly speaking there isn’t a way of just suddenly attracting some of the attention if they don’t have a pass installed or if they don’t have an app installed. There are some strategies where in collaboration with other apps you are able to utilize their app to be able to deliver messages on your behalf and that’s a service that we are also able to provide. But in general, no a customer has to make a choice and there are a number of strategies both in store and online and offline to be able to get them to install a pass. But the one thing that’s certainly not necessary is to have an app. Paul: Maybe to give an example around the distribution piece and I see Lorenzo is from Switzerland. This is a client, a partner in Manila in the Philippines. Now they are a major integrated tourist destination. They do have an application but similarly to get someone inspired around downloading an integrated resort destination app, maybe you do it when you’re in the exact destination but you don’t normally use it if you’re in the shopping mall or going to the cinema or whatever. So they used one of our products too which uses Mobile Wallet content and promotes social sharing and what they were able to do is through a very simple distribution campaign, whether that was email they had the QR codes outside for initial distribution. They ran a very small campaign in print, they did some small online advertising but by very small and niche advertising, so low cost. By using Mobile Wallet and using the para-social sharing they had acquired the full profile data and a new marketing channel via the Mobile Wallet for 27,000 new customers in just 24 hours and then 40,000 customers in just over a week. The incentive they gave away was a cinema ticket for one in five people. So if you were an originator, you were the first person to get this membership card for their integrated tourist resort. That would post to their Facebook and say hey, get this if you get this one as well, if I collect five of you as referees, I get a free cinema ticket. So there was kind of this viral nature of marketing but ultimately the return on investment was being able to be measured by the number of people using that wallet functionality, that wallet content as opposed to a like on Facebook, or as opposed to sort of a more ethereal measures where we like to feel good about our business but it doesn’t seem to correlate to our revenue, it doesn’t seem to correlate to our traffic. Whereas through Mobile Wallet content they had a very tight progression or correlation to traffic, commerce, number of people who are actively using that content and using that social integration. Nick: Actually, that brings another advantage of the Mobile Wallet. When linked with traditional digital media channels one of the biggest challenges with digital media is somebody is in front of the screen; they’re at their desk online or whatever or they’re looking at their smart phone and the problem is that even though the offer may be really compelling, it may not be the right time, just not now. It’s like if you’re walking down a high street and someone gives you a coupon but you just had lunch. Nick: It might be a great offer only available today, but I’ve just had lunch, you know. Nick: What happens to most of that advertising is it gets trashed but the Mobile Wallet gives you an opportunity for that user to save it inside their wallet, to be able to respond to that ad and put it into a repository, into a format, into an app that they trust and once it’s in there as an issuer, even if that lunch special expires you are able to target them the next day. You are able to push an update of your new specials or push a reminder or based on whatever pattern they have, you can respond to that. Another good example of a campaign which we’re running with a major U.S. retailer right now is they have a loss leading offer where throughout the store there’s points of sales where they scan and get a pass for a 20% discount on today’s purchase. It’s a loss leader but they scan that, they’re taken to a page where they insert their mobile phone number and then they receive a text, or they send a text I can’t remember now. But the issue is through text so it’s tied to that individual so that we know that pass holder is a unique individual and it also prevents abuse of the offer. Then out of that we had over 40% of the people take up the offer. They’re in store, they get the thing and they take up the offer; and for those that don’t take up the offer, the pass is still retained within the Passbook. After seven days of that offer they then retarget those who haven’t used the offer with a new incentive. Whereas the others who do use, depending on their spend, get sent different offers as well. And so this is just an example of in-store offering a high incentive to get inside the pass, and then once they are in the pass because we know who that user is and because it is being redeemed at checkout, we know exactly what it is that they bought, what they spent, what they are interested in. We can start to build a profile around that individual and start to deliver them offers that they are truly going to value and that they are going to take up; and even if they don’t take up those offers, we would still have an opportunity, a channel to be able to try something differently. Paul: …traditional marketers that have, that are now moving into the digital marketing space and looking a Mobile Wallet as that space; moving from old printed coupons to now Mobile Wallet coupons. When we talk to them about these redemption rates, they can’t even believe it. You know the typical traditional marketing redemption rates if you were being handed out a coupon at this outlet and handing out to everyone that’s walked through the door, they would hope to see about a 0.5% redemption rate. As you recall what Nick said 40% and not just that in store take up of the offer, it’s the channel there that provides them that extra value. So we don’t have lifetime value dates from this client but it isn’t just about that one time transaction, the loss leader and hope for the best. We’ll give the loss leader out, we hope we can get them back because they love our brand so much and you’ve lost them forever with a piece of paper. It’s now become that channel of communication where you build a relationship, you build rapport, you build value such that your brand loyalty increases through that new channel. I can see there’s a couple, there’s loads of questions. Nick: Let’s take those two technical ones later and let’s go to the one in the middle shall we. Monica: Okay. I had a future client I think meeting yesterday. I was telling him about the pass and well the app. As far as we know passes have cost have the advantage of not having the app installed to interact. Of course previous sent by SMS and the app has the interaction with the user because they see the icon on the phone but they have to install it which in our opinion is harder. Any more advantage or disadvantage from each? Paul: Now you’ve got another dimension in Android as well with the different devices. Paul: Nick has clearly got a lot of friends with Android. Nick: …and Android 5 installed on a T-Mobile carrier in France who have decided to take all this. It’s just a minefield and developing for Android is just painful and expensive. Nick: A pass on Android is no different to Pass from iOS. Now the plus of an app particularly on iOS is that you get to use the full capability of the phone. You get to use the full capabilities of the phone, you get to use the GPS, you get to use the WiFi to know exactly what they–where they are, you get to use all these new motion APIs that have been built into iOS8 to understand what they are doing. Is the phone in the bag? Is the phone in the pocket? Is the phone–there’s so much you can tell about the user and more importantly is you get to determine your own response from an iBeacon. Let’s give the hospitality example where we’re working with a hotel at the moment with their membership app and show what’s possible. Now this is an iBeacon powered example. It does require an app to do but it’s incredibly cool. The user–the app is distributed to the user’s membership program and first and foremost as far as the user is concerned, this app functions as a convenient way for them to see their loyalty points from their rewards program. However when a VIP, particularly a Gold or Diamond member approaches the hotel, the beacons in the lobby trigger the phone to wake up. And what we mean wake up we don’t mean, wake up the screen or buzz or alert the user but it wakes up the radio and the functionality of the phone. The phone then coins through the APIs and delivers a picture of the guest from their profile to the concierge. The concierge is then able to search for that guest, pull them out of the queue and take them off to be checked in privately. As far as the guest is concerned, he has no idea that iBeacons or this app has had any role in that experience, he just feels great experience from a user. And it’s these types of innovative and magical experiences that are possible when we can build the trust and the credibility and the acceptance of the user to actually install the app in the first place. Paul: Actually I just want to respond to that question because it is a question we get often asked. What’s better, an app or a pass? And I would say don’t ask the question, they are different and there is value for an app plus a pass plus beacon technology when in certain situations there is value for a pass without an application, and there is value for the pass to be first and an app to be second. Now we obviously have lots of clients and partners who already have an app are trying to build the Mobile Wallet capabilities in that app so we’re obviously spending a lot of money investing and as Nick talked it’s magnified by 100 when you talk about Android. Instead of utilizing the capabilities that are built into the phone already so they can concentrate on the experience, the cool experience that Nick talked about for the consumers in an app; using a Wallet capability inside the phone so they can store stuff to use for use later, they can transact with that, they can still have location data working in conjunction between the Wallet and the application. So the best way really is, again go back to basics and what is it that the client wants to achieve? What is it that they want to do first? What can they afford to do? Those are the important questions if you are working with this client and they are asking questions about what’s better an app or a pass. Try to remove the challenge around what’s better and say well what do you want to achieve and then help solve that situation and then in indeed that’s how we get into building an app before releasing a pass or indeed helping them build their passes and then help the integration with apps and iBeacon technology. Nick: Yeah I second that. I mean if you’ve already got an app then adding Passbook to an app is almost a no brainer. Nick: It’s not difficult and you know the benefits are huge. There is no limit to what you can achieve, what you can achieve. If you have an app which has in-app purchases, gaming apps in particular as well; passes represent a fantastic way to give a physical, tangible reward to an individual or even a digital reward as technology within the pass that is able to bypass the App Store and deliver your users or unlock features of your app without having to have a purchase or pay commission to Apple so those are also opportunities for people that already have an app. Paul: I see we’ve got a couple questions on redemption, quite a lot. We’re trying to cope with lots of questions coming in so please bear with us, they scroll fast so. Monica: This is a very interesting question. Small businesses get excited about Passbook. It’s harder to target larger firms because they already have a cash register scanner in place in all of their selling points. How can we integrate PassKit nicely with larger firms? Nick: Yeah that’s a good question. Now I think the first piece of advice here is you know don’t–and especially if you are selling, and if you are targeting, if you’re trying to sell a campaign to these firms, it’s very difficult to tell them that they have got to invest $200 per register to update their registers. The best approach is to augment what they do currently. 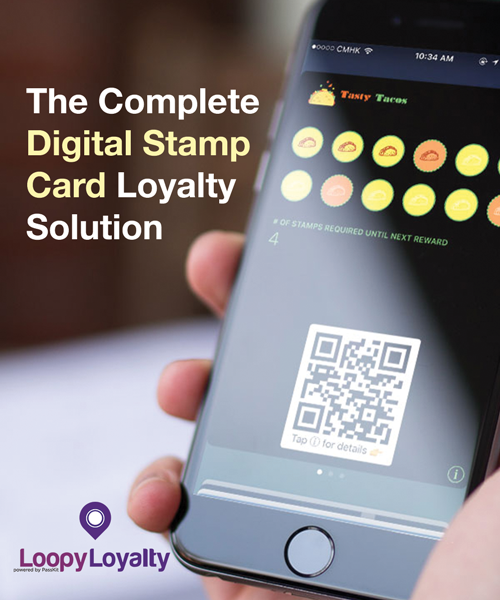 So let’s look for current loyalty programs, current store value card programs and so on. Understand the process, go and mystery shop yourself, sign up for the program, get the card, have a look at what do they do. How do they identify the user that comes to the point of sale system? You know because in reality, through the point of sale system all that happens is they are entering a unique number or a unique code into that system either by swiping a magnetic swipe card or asking you for your telephone number or an ID number or a customer number and keying it into the system or they may be scanning a 1B bar code already. If these shops are already offering programs where they scan a card, Tesco in the UK is a good example where they’re scanning a club card; then these types of systems offer the easiest opportunity for integration because you’re simply replacing that card which is scanned with a digital version of a physical card. For others, there are other ways around it but I would start by looking to supplement and provide the option for iPhone users or for Smartphone users to enjoy the benefit of accessing their loyalty program or that opportunity or that campaign through their mobile phone. Paul: So we have a department store client which is Asian based, predominantly Hong Kong, China and they–prior to using one of our solutions they did issue, and they still do, they issue plastic gift cards to their high net worth individuals. So if a high net worth individual would spend a certain amount of dollars per month, they would be rewarded with a gift card in plastic. It would be sent through the post, the plastic card would be–actually they get a letter, they then have to go to a different part of the store, pick up the plastic card then use the plastic card back in store so it’s quite convoluted, particularly for higher net worth individuals who really don’t got a lot of time for doing that stuff. Plus they are extending their branch and the store distribution so the cost of managing that gift card was going up exponentially. When you move in to China you can see those costs as well, maybe at small volumes, the cost per card and the distribution mailing cost and the management of that program might sound small. When you’re talking of the number of billionaires, millionaires in China that started to get significantly higher. So what they did is, they’ve offered the choice of the consumer to accept a digital gift card in lieu of a plastic gift card and there was no additional incentive for the actual value of that card, so it was actually the same value but to this company the cost is significantly lower. There is customer convenience on that side as well and the actual processing of that digital card in store is exactly the same and already in the store because this is like a department store with roaming sales associates. They were able to use the Smartphone they would normally have to be able to check out product information to simply scan that phone and that communicates direct back to the point of sale system. So there were no new scanners, there was no new hardware done, there were no changes to their back end; it was purely by using our solution, by consuming our API, to then be able to offer those digital cards. Now the last stat I had for them was a couple of months ago, is out of all the customers they offered this to, so this is high net worth individuals predominantly I think it’s about 80% iPhone users to 20% non iPhone; they had 60% people choose the digital gift card over the plastic and that was quite a few months ago. I will go back and talk to them and see where that stat is at. But just even that, people are demanding it and it’s helped them from that brand engagement. Now that client is going on to offer membership cards in digital format, again rather than maintain all this old plastic stuff and they can still utilize internal systems. So I guess going back to the question, for the larger organizations, we’re very comfortable, we’ve seen Passkit, we’ve seen Mobile Wallet work for larger organizations with minimal capital investment, and minimal switch over from existing hardware, point of sale scanners, and you name it. There is a solution out there; it all depends on how sophisticated they want to get and the best thing is just to take a step forward, you know replicate what you got today in paper or plastic format, go digital and then as you start to get more experienced, you learn more about your customers, you learn how people transact with their Smartphones, you learn all types of campaigns that work really well; then you can start talking about maybe we need to do some different back ends, this seems like a CRM database, maybe have real time, maybe we do different scanning solutions, maybe start looking at MFC. All of those things, but don’t kind of worry about that yet, it’s a move forward, take your existing program, move into the Smartphone revolution because the consumers already have, and it’s the merchants that kinda need to now. Paul: Bubble Tea might not mean a lot to everyone. Nick: Anyway, people are going crazy for this stuff and they hit the limelight recently because they sold out of 7,000 gift cards in the first 24 hours. But they proved expensive to print and to maintain and so on and so they are interested in going digital. Now what we found is that they’d invested a lot of money in their register system to process these cards and they were very reluctant to upgrade their registers and in particular to upgrade the software in their registers. Adding a scanner was not so much of a problem but they didn’t want to go through the pain of upgrading the software and also the delay of upgrading the software. But what we found, what we discovered through mystery shopping and experiencing that product was that there is a real time update through their website. So through their website you are able to log on and immediately after having a transaction at one of these establishments using the card, you can see that transaction reflected on the website. And the website on that backend is really easy to integrate too. POS systems are typically harder, particularly when you’re dealing with larger organizations; there is a licence fee per terminal and it becomes very painful to deal with but understanding the process truly from end to end, it’s usually easy to find a place to hook into that, into that process. In addition to that, as Paul said, within the retail store value app, we used the Android phone; we used the Wi-Fi connection of the Android phones to do the API calls back to the pass and to do the verification from there. We’re also working in conjunction with a partner in Australia; we have developed a very low cost piece of hardware, less than US$100 that sits between the point of sale system and the scanner and sits between the point of sale system and the printer. So if you imagine the cable coming from the scanner to the receipt printer, sorry from the till to the receipt printer and from the till to the scanner; this thing sits in between those two cables and intercepts the signal both ways. It has a 3G card inside, very, very cool and it handles all of the logic and all of the API work which is involved. So what, if we should come back to the original message, starting small, doing what is possible today, it very, very quickly gains attention, and they gain appetite and they gain confidence to then make those investments in the larger hardware. But certainly when thinking about approaching these stores, replication and augmenting their existing processes should come first, and then build out from there as they start to really experience and understand the value of what unlocking the Mobile Wallet can do for them. Paul: We get so excited by the vision of the future, obviously that’s where we started PassKit and where we can see the world going. What we’ve seen particularly for Marketing agencies or indeed CMOs within Corporates or to a certain extent the media side businesses is struggling with is they want to get here before starting, starting somewhere and if they equally need to get sign off, there’s all these questions like oh what about this, what about that, we’ve already got these loyalty campaigns, we’ve already spent this money on this. The best way to win over those nay-sayers, the people that aren’t as enlightened as all of us in this room, is to get going with a low risk, maybe a small scale implementation of Mobile Wallet. Now every single case without question of all our clients that have done that approach has got the CMO, the CEO, the CFO, the COO, you name any CXO, whatever it might be, everyone is then saying, what are we doing next, when are we going next? We’ve worked with a major port, terminal in Europe, across actually a number in Europe you know and we talked initially about massive beacon deployment and you know integration with that as they only did was offer a free Wi-Fi pass. So to sign up they already had is sign up for our loyalty program and get 30 minutes extra Wi-Fi. Now what happened in the past was you sign up for Wi-Fi, you put your name in, you put your details, you get this plastic card, comes through the post, when you get home you’re outside of an airport and it’s not really useful. It’s not really useful to anyone after you’ve gone home; you are outside of these airports. So through delivery and simple looking and observational process and the pain that consumers were feeling and then replacing that pain with something of convenience, which is a Pass which remember what we said is a channel. A pass which adds value for the consumer, they get 30 minutes free Wi-Fi, they also get access to discounts from further merchants in the channel, and now becomes a new channel. So you want to keep that relationship alive, you still collect their email, you’re still collecting their phone number, but you’ve also got an additional marketing channel with no stand filters not forever filling up and assuming you trust that relationship with respect the person keeps the pass in there, likely to use it again, maybe tell other people about this cool thing that they have joined, this new loyalty application I’ve got for this terminal, if you’re going through this terminal, you really should download this one, it’s given me lots of discounts. And then you can start to even see the broader ecosystem outside of those airport terminals linking to hotels, linking to supporting merchants, linking other airports of a similar sort of family and sister group of airports. So it really does start with getting excitement in a very simple way and allowing the data to help you move that forward with stake holders or indeed just if you are a small business owner, allowing the data to prove to you that this is the next thing to do or if it doesn’t prove it, you’ve actually lost not a lot of time or effort. It’s certainly not going to cost you the same time and resources as building an app, and then launching that app and getting one installed. Monica: Thank you but noticing the time actually, I think we have time for just one last question. Question from Cindy from Singapore. Right now Apple Pay is only available in the U.S. Do I wait until it comes to my country? Paul: Wow. Well I hope by now you know it’s no. This is–you know Apple Pay is the catalyst; it really is the fire that actually we’ve all been waiting for. You know when we first spotted the opportunity back in June 2012 when Apple first worked with us around Passbook; we actually thought commerce capabilities or Credit Card storage in Passbook would come a little bit earlier, so we’ve been kind of waiting and setting up for this. This is not about waiting for Apple Pay to be available in your country; this is about taking action now. If you realize the importance of the Mobile Wallet as a marketing channel, as a relationship, as an ad channel; as Nick said flipping the advertising space on its head, not about wanting to be where the customer is hanging out, but being where the customers are. You know putting your brand wherever the customer is in proximity when the customer behaves in a certain way, having your brand, having your customer’s brands appear in the face in the most intimate objects that consumers are carrying around with them today. You know it’s time to experiment now, place, put stuff in people’s wallet now and through that experimentation, when Apple Pay is there, and we know it’s coming in every country, they’ve made it very clear. Tim Cook said Apple Pay, 2015 is the year of Apple Pay. 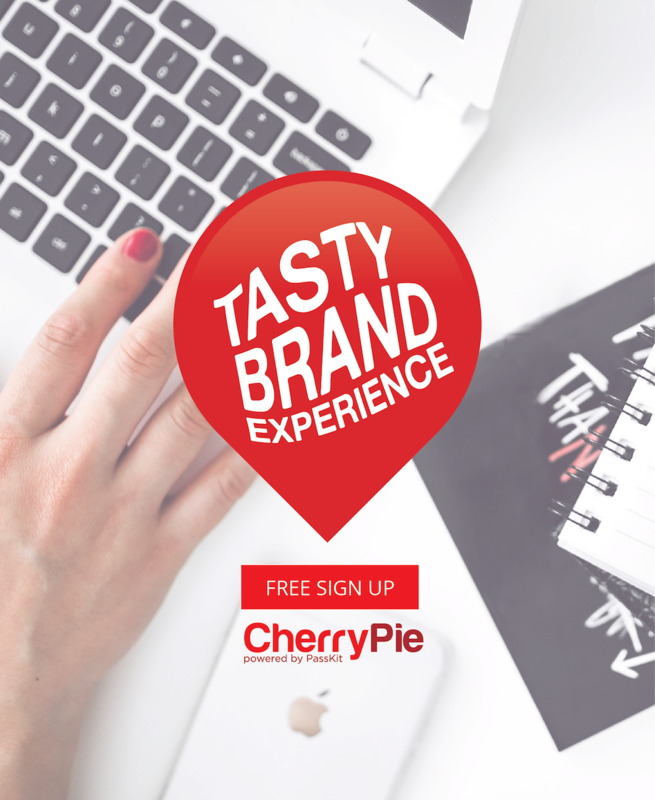 Through that experimentation, your brand or your client’s brands would be right next to your consumer’s credit cards. Nick: Yeah hopefully, and it will be a tsunami. I mean we’ve seen this now with the U.S and that adoption rate is only going to get quicker as more and more countries start to adopt it and people start to get the hype, and everybody is saying when is it coming. Much better that you are already in people’s Passbook or you already have the channel for people to get into Passbook when Apple Pay is announced, rather than waiting for Apple Pay to come and then starting to react to that. Before we close out so there were two very quick questions that we can answer. Nick: One was, what about languages, does it support right to left? The answer is yes, it supports Arabic, it supports Hebrew, absolutely no problem. In fact, you can have up to 40 languages embedded in a Pass, and it will automatically adjust to the user’s preference. So for the same, if you distribute one pass, if the phone has got Arabic as a preference, you would see it in Arabic. If it’s got Vietnamese as a preference, you’ll see it in Vietnamese, providing of course you have programmed those translations into the pass. Paul: Yes and also translate because that wouldn’t be nice. Nick: Second technical question is what kind of equipment is required to scan? You do, if you want to scan a Pass from the screen, then you require a 2D optical scanner. ID barcodes aren’t supported by Passbook; they are supported in some of the Android Wallets but not by Passbook. Paul: There’s not a very good excuse. Nick: Yep and laser, traditional laser scanners don’t work. However, that said there are some work-arounds. We have been able to work with a convenient store chain in a major, a major Asian economy. Paul: You won’t say it. Nick: No slip up, not trying to give much away and but through a software update to their drivers for their scanners we are able to scan 1D barcodes from the screens and we’ve adapted our API for Passbook to use a certain space on the Pass layout to display a 1D barcode instead of the space of a 2D barcode and that’s opening up some interesting opportunities. You also though, don’t need to scan the pass. There are a number of ways, there are a number of strategies that we have been able to develop and deploy for customer redemption. Customer is issued a receipt with a QR code on that they scan themselves, it then updates the Pass. Customer is issued with a code that they key and then update the pass. Customer is directed to click a link on the back of their Pass, present the Pass to the cashier who types in a code in to the form that is provided to redeem the Pass. There are many, many ways in which the Pass can be scanned and redeemed. Oh and of course you can use an Android or an Apple device as well as a scanner using some of the software that either we provide or also generic scanning software to scan a URL that could be embedded in the Pass. So redemption is unique to each situation, but as of yet with literally hundreds of campaigns, most likely in the thousands of campaigns now, we haven’t yet come across a scenario that we weren’t able to create an acceptable, I wouldn’t say optimal, but certainly an acceptable experience for both clients and for the business. And the business is also important because as well as making it simple and seamless for the customers, we also want to make it as simple and seamless for the staff so that you don’t have the overhead of training and development and the risk of things going wrong or a bad experience at the checkout because people don’t understand; and that again is where moving slowly and augmenting what they do already and providing an additional channel to what they do already is usually the best strategy to migrate these particularly the larger organizations, they don’t move quickly and to slowly migrate and evolve their capability. Sorry Monica. Monica: Yeah we really have run out of time now. Let’s get this back with me. Thank you everyone for making this such an interactive and informative Webinar, and we thank you Nick and Paul for sharing your infinite wisdom with us. It was a true pleasure to have you join us and it is very apparent, to me at least that we’ve only just scraped the surface of the ever great opportunities out there. If you do want to learn more, Paul and Nick will be in London from the 25th to the 27th of February. To all businesses, get started and take full advantage of the Mobile Wallet capabilities. So please go to passkitpartners.com for more details and thanks for joining us folks, signing out.